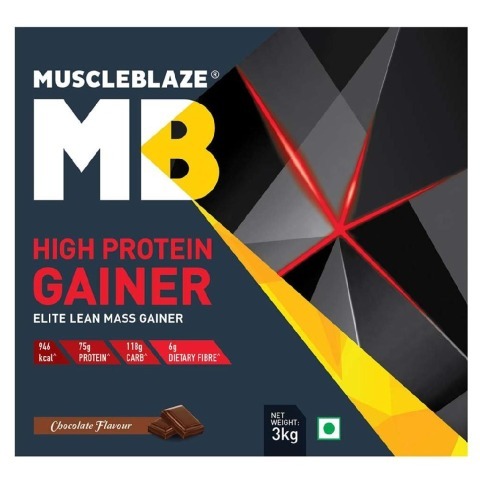 MuscleBlaze High Protein Gainer is an advanced mass gainer for athletes and professional bodybuilders who have higher protein and calorie needs. 59g carbs and 30g proteins in the ratio of 2:1 delivers more protein in a serving, which prepares the body for intense workouts and allows it to recover from the workout fatigue as well. 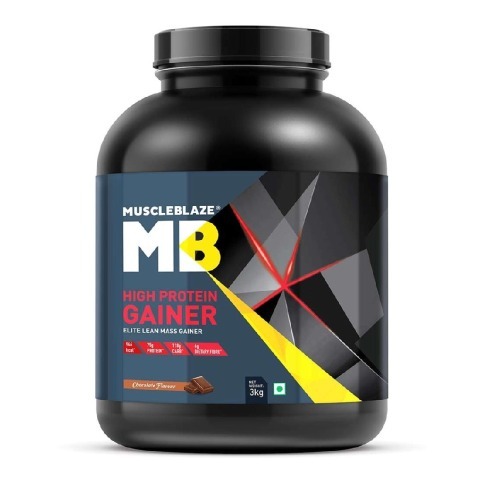 MuscleBlaze High Protein Gainer has more protein for bigger muscles. The combination of 5 slow and fast acting proteins significantly increases the protein value in MuscleBlaze High Protein Gainer. 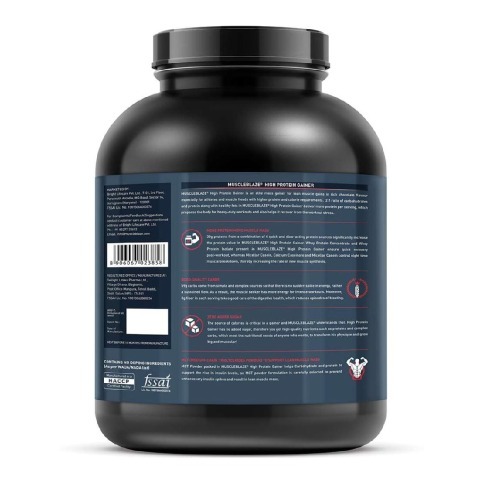 Whey Protein Isolate and Whey Protein Concentrate help the fitness enthusiast recover faster after an intense workout, whereas slow-acting proteins, such as Calcium Caseinate and Micellar Casein reduce the rate of muscle breakdown. 59g carbs from complex and simple sources provide a steady supply of energy, much needed for gruelling workouts. 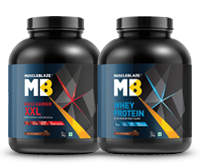 Both the muscle builder and athlete have higher energy needs and the good quality 59g carbs in a serving of MuscleBlaze High Protein Gainer fulfil the need. 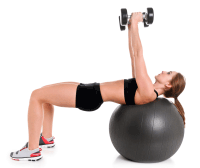 Source of calories is very important for the fitness enthusiast to know? 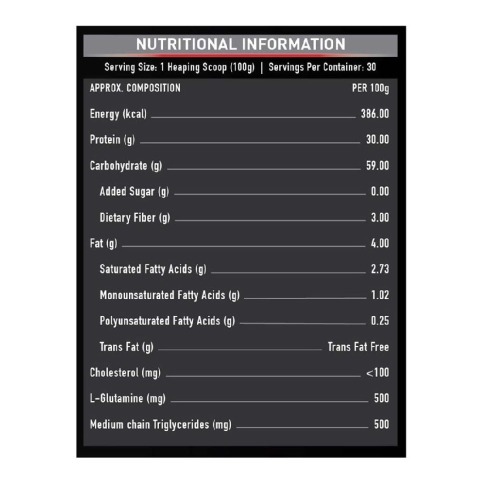 Zero added sugar implies that calories in MuscleBlaze High Protein Gainer come from cleaner sources, such as high-quality proteins, complex carbs and good-quality fats. Naturally, as a fitness enthusiast, you will not like to buy a sugar-laden gainer! 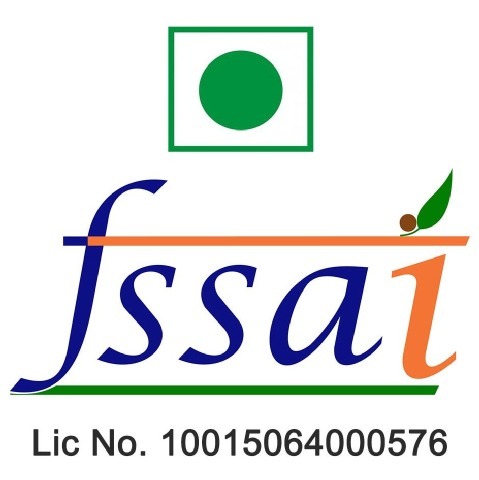 Maltodextrin, Protein Blend (Whey Protein Concentrate, Whey Protein Isolate, Calcium Caseinate, Micellar Casein, Milk Protein Isolate), Cocoa Powder, Litesse (Polydextrose), Fat Powder and Stabilizer (INS 415). 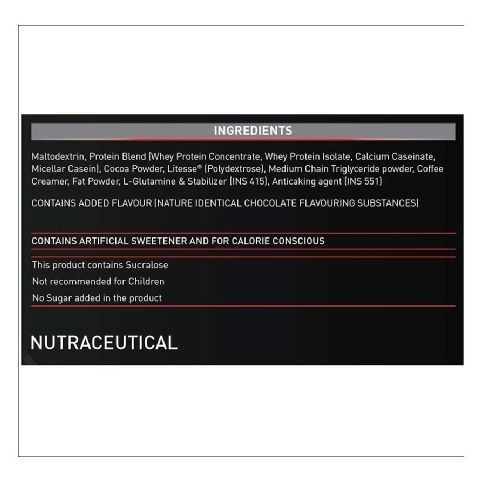 Contains Added Flavour (Nature Identical Chocolate Flavouring Substances). 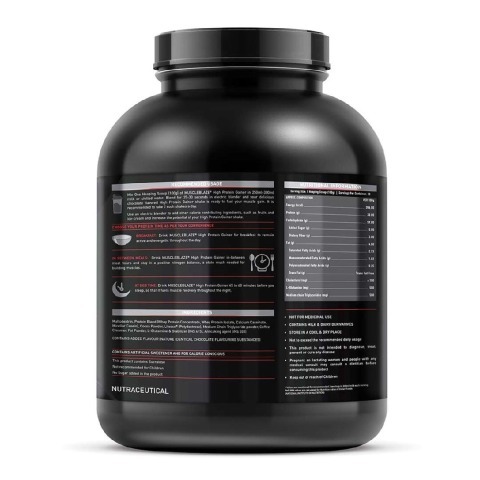 Mix one heaping scoop (100g) of MuscleBlaze High Protein Gainer 6.6 lb Chocolate in 250-300ml milk or chilled water. Blend for 25-30 seconds in an electric blender and your delicious chocolate flavoured High Protein Gainer is ready to fuel your muscle gain. Use an electric blender to add other calorie-contributing ingredients, such as fruits and ice-cream and increase the potential of your High Protein Gainer shake. Breakfast: Drink MuscleBlaze High Protein Gainer for breakfast to remain active and energetic throughout the day. In-Between Meals: Drink this supplement in-between meal hours and stay in a positive nitrogen balance, a state much needed for building muscles. At Bedtime: Drink this supplement 45 to 60 minutes before you sleep, so that it fuels muscle recovery throughout the night.